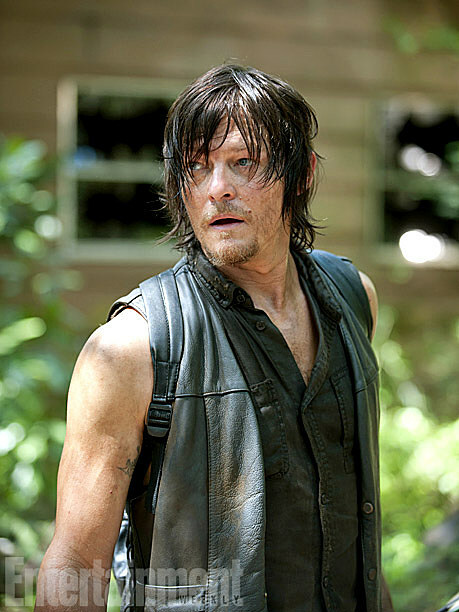 We're just days away from 'The Walking Dead''s dramatic 2014 return, picking up with our merry band of survivors in divided factions following the climactic events of 2013 finale "Too Far Gone." We've got plenty of burning questions of our own, but what gruesome answers lie in the first clip from Sunday's "After" and seven brand-spanking-new photos of the season to come? 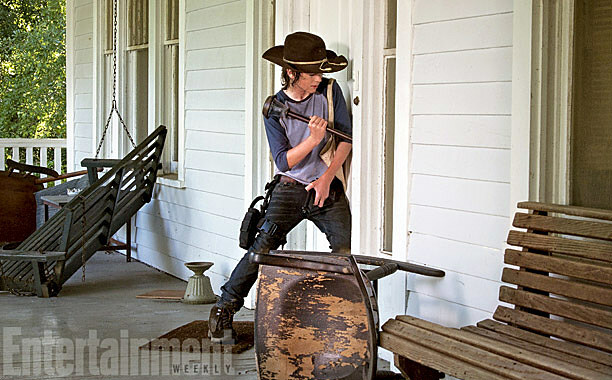 While the AMC clip from Sunday's premiere adds only a bit more footage of Carl's clever ruse to lure walkers away from the house, Entertainment Weekly teases much more with the release of seven new photos from the episodes ahead. 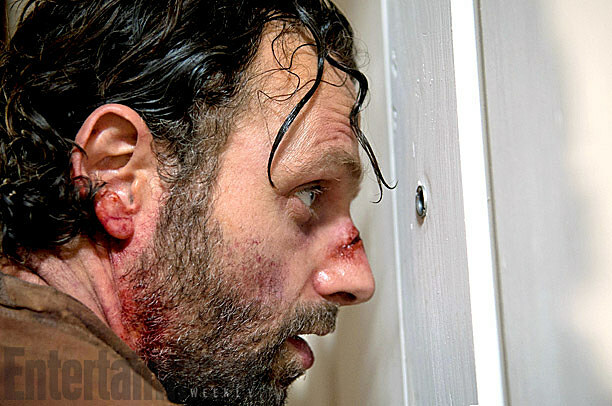 Not only does Glenn appear to be in dire shape atop that bus that mysteriously fled the prison without Maggie, but Michonne seems to be keeping her own company, while Rick spies something in the peephole of a house. 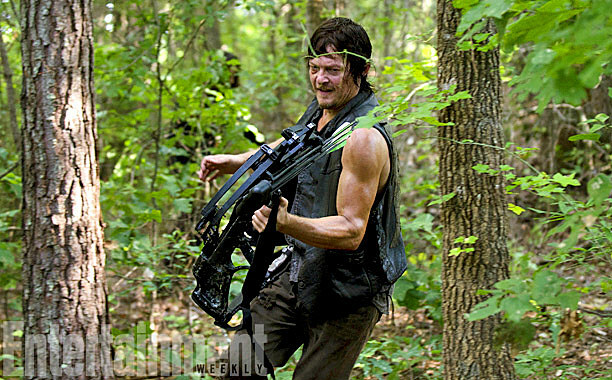 Plus, what might dear Daryl be running from, and where's his companion Beth in all the chaos? We're not sure exactly when we’ll catch up with the different groups of survivors, though we at least know a trio of new faces will cross paths with one of the divided camps. The Governor has been rumored to put in another appearance despite his gruesome demise, though the survivors will likely encounter some new dangers out on the open road, as well. 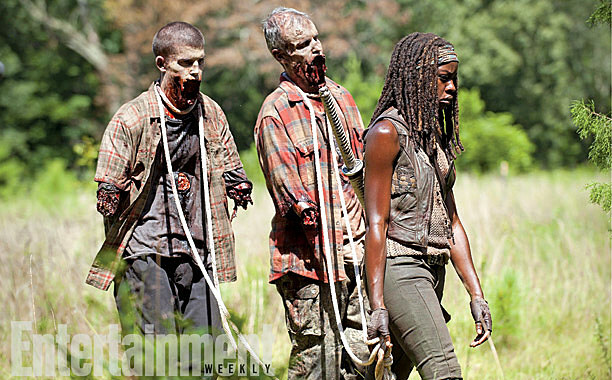 We've also seen the first photos of the latter eight episodes, and who could forget the most recent trailer? 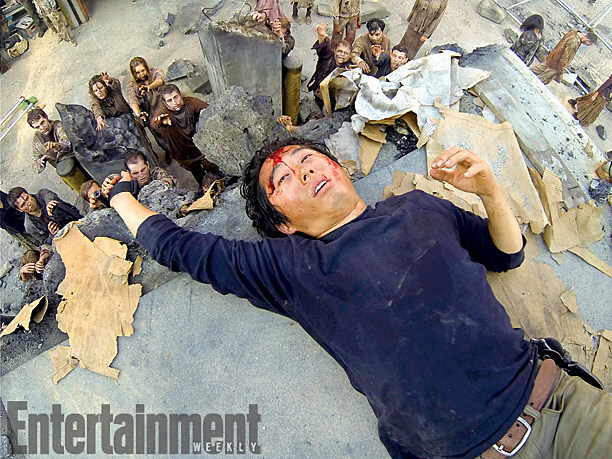 Sunday's premiere will be an episode to remember for certain, but in the meantime, check out the latest batch of photos from 'The Walking Dead''s 2014 return below, and give us your predictions in the comments! 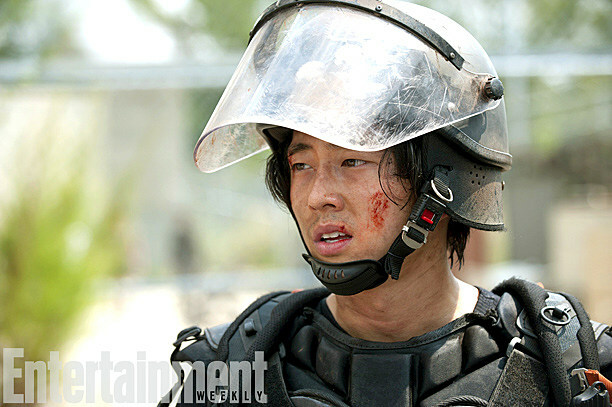 Who do you think will be the next to become walker chow?